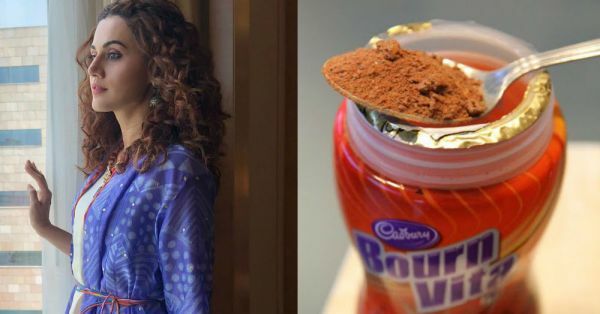 Taapsee VS Bournvita, Who Wore Purple & Orange Better? Is it just me or does everyone instantly think of a popular 'nutritious' drink from the '90s, whenever a bright purple and orange colour combination is thrown at 'em? 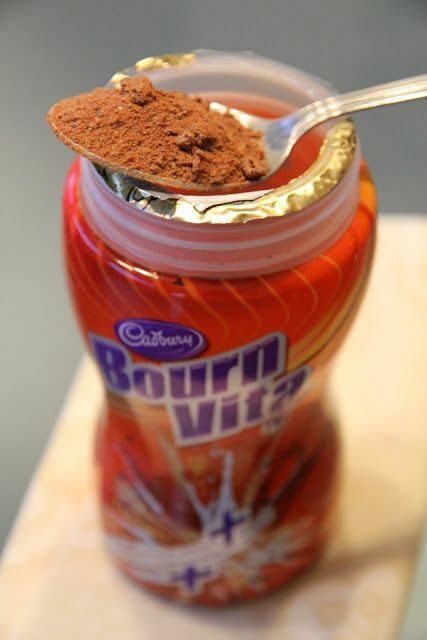 I've grown up drinking Bournvita, and I've grown up hating it. Since I hated it, the purple and orange combination on anything apart from the plastic bottle made me cringe. ...and her purple and orange outfit from yesterday made me go through a change of heart. Yes, of course, the title is a joke. Taapsee wears the purple-orange combo better and by miles and miles. There's no question about that. 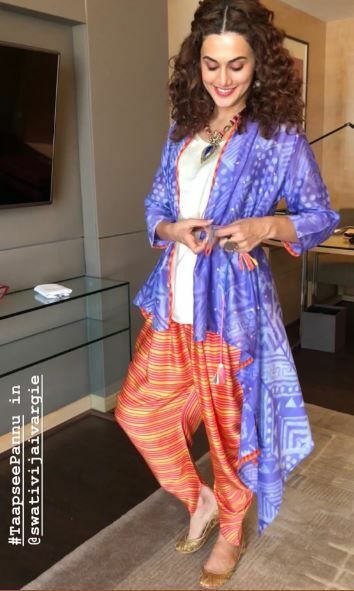 The Bollywood actress wore an Indian ensemble - a white top and amber and red striped dhoti pants with a beautiful violet belted jacket - by Swati Vijai Vargie. We're fans of Taapsee's striped dhoti pants and think they would make a great and vibrant match to any solid coloured kurti. The violet jacket, though, is our favourite. 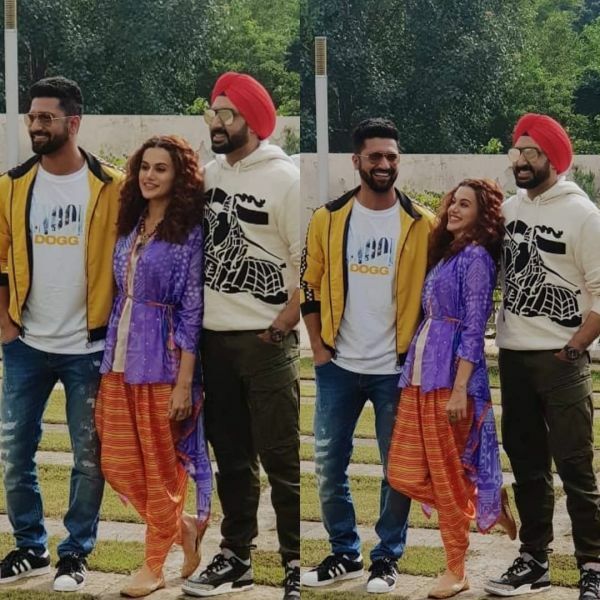 Taapsee's waterfall-hem jacket is made of chanderi fabric and features a unique Shibori (Japanese dip-dye technique) print. It's belted at the waist by a colourful dori with fun tassels... How's that for shaadi season inspiration? Along with the colourful Indian outfit, Taapsee Pannu also wore a golden, embellished pair of juttis. She also had on an eclectic chunky necklace, silver jhumkas, and a big oxidised ring. Bottom line: we love it all! Simple yet festive, isn't it? The purple-orange combination has never looked better to me!